Being your own boss is BRILLIANT! Not being able to delegate, not so good. The admin behind the scenes is monumental. The confusions inevitable and mistakes do happen. All the sweating and swearing will never stop the heart racing and the dry mouth that follows. But honesty is the best policy, so just remember 'to err is human, to forgive divine'. Thanks to all the divine people out there you know who you are. 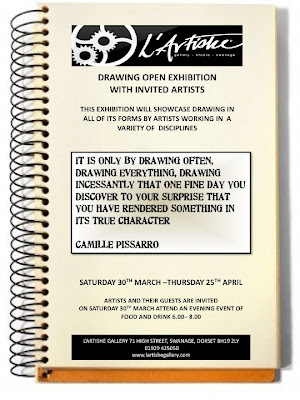 The Drawing Open is now closed. I have all the entries that I could probably wish for, my goodness it is going to be a good show. You must make a date to come and see it. 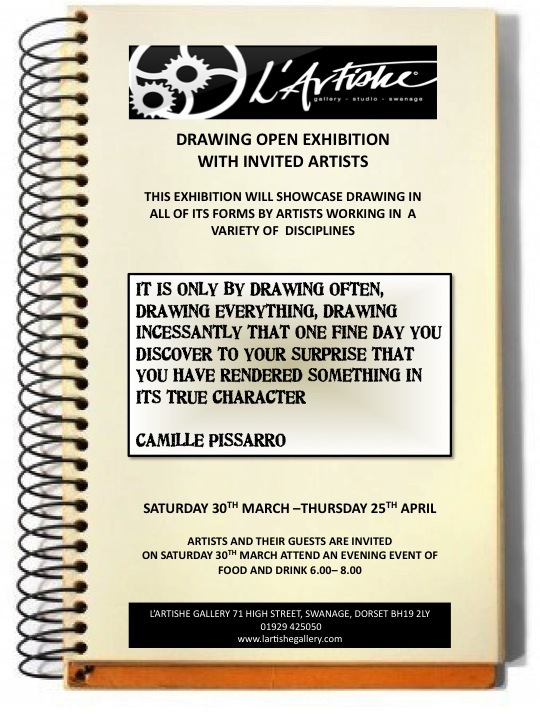 If you are looking for something a little bit unusual then why not a drawing by one of the many fantastic artists who are exhibiting in this show. It does not seem that I am getting enough time to write my blog during my working day so that gives you an idea of just how busy I am. I started a drawing last week with the idea that I would be entering it into the Open but that is just pie in the sky.